Enjoy uncompromising performance with ThinkVision T2364t LCD Monitor. 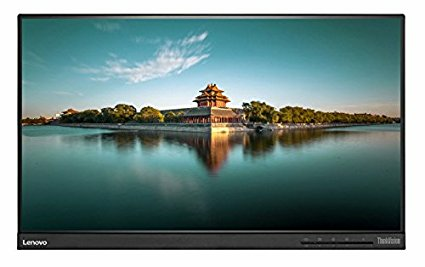 This monitor offers borderless FHD resolution and professional In-plane Switching panel which can maximize your viewing angle and visual experience. Besides gorgeous display performance, Advanced In-cell Touch solution can give you an extreme touch experience. T2364t also provides multiple interface options (VGA + HDMI + DP + Audio out) and integrated USB3.0 hub to make your connectivity easier. Boasting low energy consumption and less environmental impact, T2364t adopts latest green standards, meeting Energy Star 7.0, EPEAT Gold, and UL Environment Gold and more.